Un-Wall Papering in Your Chester County PA Home! 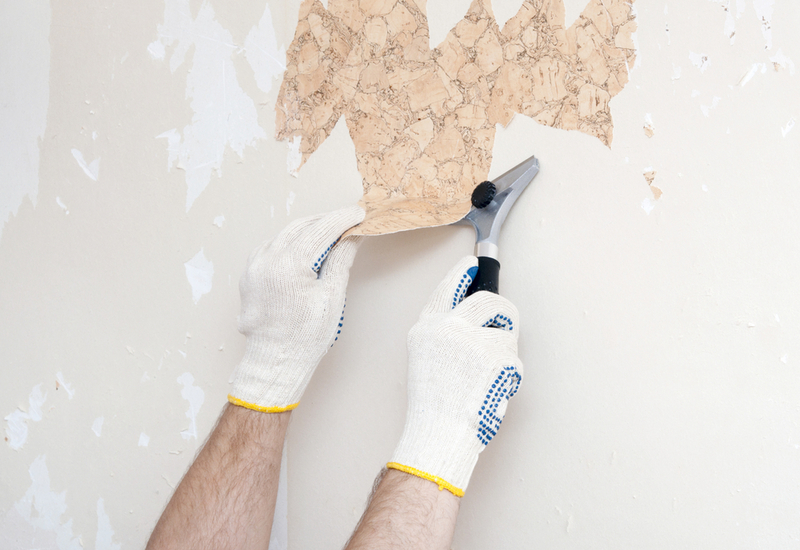 - Tools you will need: plastic sheeting, wide masking tape, rags and old towels, bucket, spray bottles or garden sprayer, three- or four-inch wide scrapers, paper scoring tool, large tile sponge; if the wallpaper is old, you may need to purchase an enzyme-based remover at a home store. - Before you begin, remove furniture from the room, or put it all in the center, and cover with plastic. Using the masking tape, tape the plastic sheeting over the baseboards, and spread the rest of the plastic onto the floor. Don’t forget to cover electrical outlets! - Using the scrolling perforator tool, gently score the paper in every direction so your solution (next step) can penetrate the paper and adhesive for easier removal. - Now, mix up one gallon of hot tap water with one cup of white vinegar, add to your spray bottle or garden sprayer, and apply the solution to the scored paper, one section at the time. Allow to sit for ten minutes. - Beginning in a top corner, lift the paper with the scraper, and gently tug. If it comes off easily, continue to remove as much paper as possible, carefully using the scraper on the more resistant parts. If that first piece isn’t budging after a tug, allow the vinegar solution to sit for a few more minutes, then test again. - Once you have the bulk of the paper off one section, continue spraying and removing one area of the wall at the time. - Use care when you get to a section where the glue can be especially sturdy: give the area shot of the vinegar solution, and gently scrape in the direction you’re pulling the paper. You don’t want to damage the drywall or plaster. - Once the paper is off, you’ll still have some of the backing stuck to the walls. Using a large sponge dampened with the vinegar solution and your scraper, rub over the backing, scraping gently as you go. - After the walls are clear of paper and adhesive, fill your bucket with clean warm water, and wipe the walls down with the tile sponge. Allow to dry. - Paper will likely remain under any switch plates and outlet covers. Turn off electricity to the room, and remove the wall plates with a screwdriver, peeling the paper off carefully.